A quiet cadence has been tap-tap-tapping inside the chamber of social media and reverberating into in-person conversations at various conferences and events, but it needs to get louder: we need more Christian women of color represented in publishing, on conference and event faculties, in the speaker line-up, in the audience. We need more Christian women of color represented on our blogs, websites, and podcasts. We need to see and hear more Christian women of color, period. The resource that follows is one small attempt to pick up my mallet and join the drum beat, to add my energy and efforts toward amplifying the sound of necessity. The sound of worth. I lament the fact that this type of resource is even necessary. But if we’re going to make steps to march in the right direction, we have to start somewhere. After reading Deidra Riggs’ post, How to Add an Inclusion Rider to Your Contract, I decided to approach a few Christian conference coordinators to respectfully and lovingly ask whether they would consider adding some women of color to their speaker line-up. My hope and prayer is that the following list will become the birthing place from which countless new relationships will grow and develop. Before you scan, scroll, and click away, please hear this: This resource is not meant to be a means for you to cherry pick or tokenize the women listed below. If that’s your intention, with all due respect, you’re in the wrong place. Instead, my prayer is that you would get to know these women of God. That you would read their work, buy their books, listen to them speak. Interact with them on social media, comment on their blog posts, invite them to your events. Build relationships. Of course, this “directory” (for lack of a better term) is by no means exhaustive. I repeat: There are many more Christian women of color out there for you to get to know, read, listen to, invite. 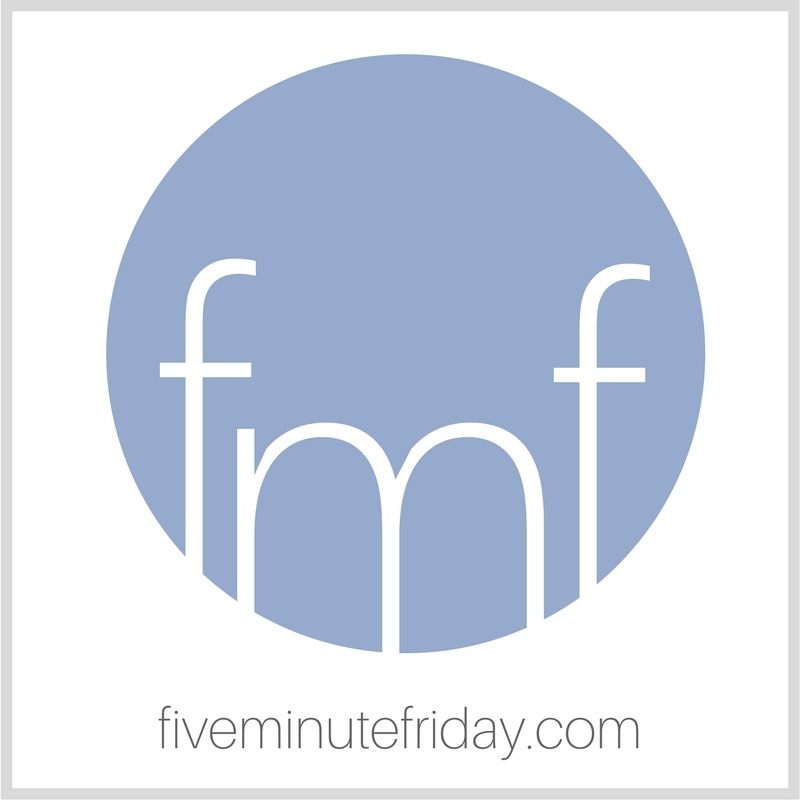 If you have a name you’d like me to add, please email me at kate@fiveminutefriday.com. Similarly, if your name is on this list and you prefer for it to be removed, please let me know and I’ll gladly remove it. If you’re reading this as a Christian woman of color, consider joining the Christian Women Communicators of Color Network on Facebook. Please note that while I have included to the best of my ability women of color who profess to love Jesus, as with any list like this, a wide spectrum of theological viewpoints are represented. As I’ve encouraged you above, take time to get to know these women and discover which of them would be the best fit for your blog, website, conference, book club, etc. This should go without saying, but these women of color are first and foremost women of God, and most of them love writing and talking about topics that span far beyond issues of race. Please don’t just invite them to be the token voice or face on your panel about race, unless they clearly indicate that as their primary passion. If you truly take the time to get to know them and read their work, you’ll learn that these women are wise, capable, and competent voices with much to offer on a vast array of topics including the Bible, business, art, music, and various aspects of the writing life including memoir, essays, poetry, fiction, and more. Some of the women listed below are seasoned speakers, while others prefer writing. Some have busier schedules than others and may be more difficult to reach. If you have a genuine desire to see increased diversity in Christian publishing, don’t give up. Bookmark this post and check back often, as I plan to update the list on a regular basis. If you have suggestions for improvement, feel free to contact me at the email address given above. Most of all, my prayer is that the Lord would use this resource for His glory, however He may see fit to do so. Check out this resource listing more than 50 Christian women of color speakers and writers! If you know any of the ladies mentioned above, if you’ve heard them speak, if you’ve read their work, feel free to give them a shout out in the comments below! Your recommendation may help others make connections as well. Finally, help us spread the word by sharing this post as we seek to make a positive difference toward increased diversity. Thank you for your help and support! Kate- I echo your heart and feel very much the same way. Thank you for writing this post. Deidra Riggs and Alia Joy have both spoken at the Faith & Culture Writers Conference that I have headed up since 2011. I met several of the others on this list and have followed their work. I would add Velynn Brown and Sunia Gibbs to this line-up. Also, what if we included men of color on this list. Romal Tune, for example, is a dynamic speaker and author who keynoted at our FCWC event in 2015. Thank you so much for your input and suggestions, Cornelia! Grateful for your generous heart and all that you do to encourage the broader community. Thank you Kate for compiling this list and I will be sharing! Dr. Thelma Wells, a Women of Faith Speaker. Powerful. Prayerful. Mentor. She wraps her tiny little arms around you and lifts you up. Dr. Thema Bryant-Davis is a licensed and ordained minister in the African Methodist Episcopal Church. She preached her initial sermon at Empowerment Temple AME Church where the pastor is Rev. Jamal Harrison-Bryant. Currently, she is the Executive Assistant Pastor of Walker Temple AME Church in Los Angeles where the pastor is Rev. Rosalyn Brookins. She is also the founder and director of the Holiness Liturgical Dance Ministry. Dr. Thema has ministered internationally and nationally at Churches, conferences, retreats, hospitals, prisons, nursing homes, poetry readings, and community centers. What about Ekemini Uwan, Dr. Christina Edmundson, and Michelle Higgins from Truth’s Table? Thank you for putting this list together. So many good women and such important voices that need to be heard. Thank you, Kate, for this directory on your website, for having a burden for all voices that have been marginalized by publishers and heads of organizations. I too grow weary of the same refrain from CWC coordinators who say: “We don’t know who to ask. Do you have any recommendations?” It proves they aren’t reading WOC and that is where I believe the problem is rooted in a big way. Might this list be rearranged by geographic location? I, too, lament that this is necessary… but I’m on board to see to it we start somewhere! Blessings as you move with power into your destiny, paving the way for others to do so as well! Thank you for this Kate. We are here and appreciate you being a bridge. With this list, along with those added in the comments, we add to the tapestry and craft a beautiful quilt as we move the kingdom building agenda forward….TOGETHER!